When thinking about an island, you must determine if it’s for increased storage, an eating area, food preparation or clean-up. There are lots of great island designs, yet most homeowners end up with the basic two or three cabinet configuration for extra storage and counter space. 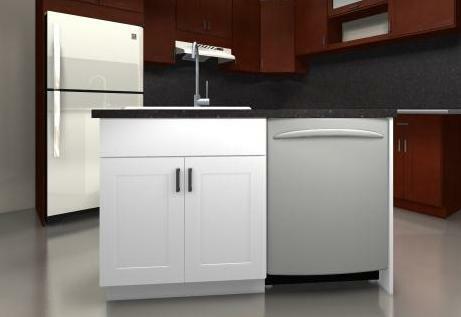 A well designed island can improve your kitchen tremendously. This is a great idea for small spaces because the island is only 54” long (30” sink cabinet and 24” dishwasher) The countertop space along the walls is now used only for cooking and food prep; freeing you to isolate clean-up at the island by pairing the sink and the dishwasher. 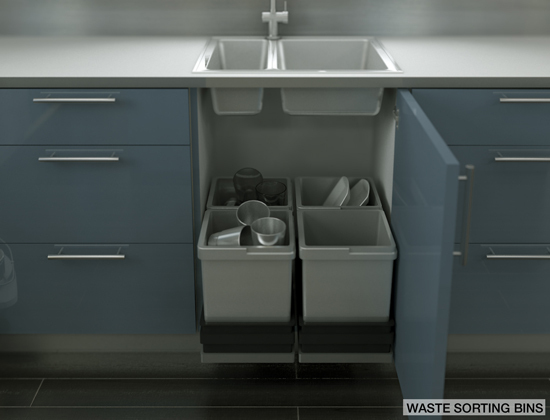 Now, for even increased clean-up efficiency add a waste sorting system and your cleaning station is complete.